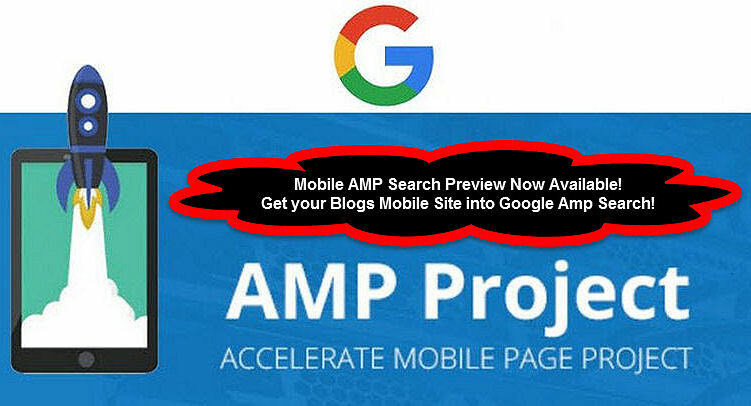 AMP Mobile Page Specific Search Preview is now available from Google. Previously AMP search results targeted only major news and other top stories sites on the net. But sites / blogs like yours and mine will soon be showing up in Google mobile device searches. Here’s how to opt into AMP Search. To clarify, this is not a ranking change for sites. As a result of the growth of AMP beyond publishers, we wanted to make it easier for people to access this faster experience. The preview shows an experience where web results that that have AMP versions are labeled with AMP. When you tap on these results, you will be directed to the corresponding AMP page within the AMP viewer.